Looking for a USED AQ1050? 169" x 155" x 117"
The AQ1050 is a high-speed vertical machining center featuring cylindrical roller guides, a Meehanite cast iron base, and a high-performance spindle. This machine maximizes cutting performance with rigid cuts and a powerful spindle. 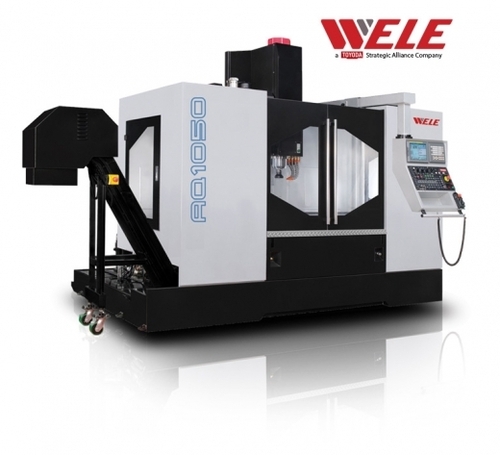 Looking to Purchase a New WELE AQ1050?